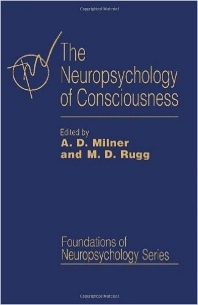 The Neuropsychology of Consciousness is based on a symposium entitled “Consciousness and Cognition: Neuropsychological Perspectives” held at the University of St Andrews, September 1990. The intention was to assemble a group of the major researchers at the forefront of this field. The starting point for the symposium and for the book was the widespread realization that in several areas of human cognition (e.g. visual perception, memory, language comprehension, and attention), the severe and profound impairments due to brain damage that have been described over the past 150 years are often not absolute. In particular, the use of indirect methods of testing may reveal unsuspected preservation of capacities that are undetected by more traditional direct methods. The book opens with a discussion of the epidemic of dissociations and how well the phenomena within either neuropsychology or within normal human experimental psychology map onto each other. This is followed by separate chapters on topics such as blindsight, covert visual processing in patients, face recognition and awareness following brain injury, and the relationship between the study of attention and the understanding of consciousness. 11 Automatic Memory Processes in Amnesia: How are They Mediated?